Once-a-day, NUT FREE multivitamins for babies and toddlers. The necessary vitamins are usually provided by a balanced and varied diet, but if any of the essential vitamins are absent from food for long periods of time, poor growth or certain deficiency diseases can occur. DaliVit Multivitamin Drops contain the seven essential vitamins for the prevention of vitamin deficiency. Just one daily dose supplies the recommended amounts of these vitamins for normal health and growth in early childhood. If you are allergic to Peanut Oil or Soya, you CAN use DaliVit Multivitamin Drops with confidence. What are the DaliVit 7 essential vitamins and what do they do? Safe for those allergic to Peanut Oil or Soya. Vitamins are essential for a healthy start in life, in children they are particularly important for normal growth and development. The necessary vitamins would be provided through a healthy balanced and varied diet, however should any of the essential vitamins be absent from the food for a long period of time, poor growth or certain deficiency diseases may occur. Peanut allergy is becoming ever more commonplace, with recent studies showing that the rate of peanut allergy has doubled over a five year period both here in Europe and the United States. Peanut allergy is estimated to affect 1 in 50 young infants. Food allergies are amongst the most common in children who come from families where other members suffer from an allergy. Babies with eczema are particularly at risk of having some form of food allergy. My granddaughter takes them off the spoon, but they can be added to food or drink as well. They are good for children with a nut allergy as they have no peanut oil at all in them. A lot of vitamin drops do have peanut oil in them so care needs to be taken. I wish I had known about these with my first child! Have used them with my now 18month old for ages - easy to use and can go in milk or in food. Much better than trying to syringe or spoon horrible tasting vitamins into babies mouths! My little one has never been put off his food or milk with these drops in them. Highly recommended! My daughter has many allergies and found it difficult to find suitable vitamins for her. These were recommended by a friend and she has taken to them well. All essential vitamins suggested by paediatrician in one bottle. easy to add drop counting system in a quantity that lasts. Why should my child need multivitamin drops? A healthy diet will provide all the vitamins you need, however, children have a higher vitamin requirement which may not always be met by their diet, therefore it may be necessary to supplement their vitamin intake. Who gets a peanut allergy? Typically people with a peanut allergy are atopic (pronetoallergic reactions), and those who may also have eczema, asthma or hay fever. There is also a tendency for an allergy to run in the family. 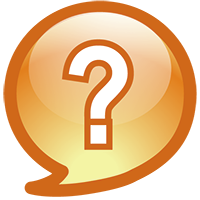 How old should my child be before taking multivitamin drops? 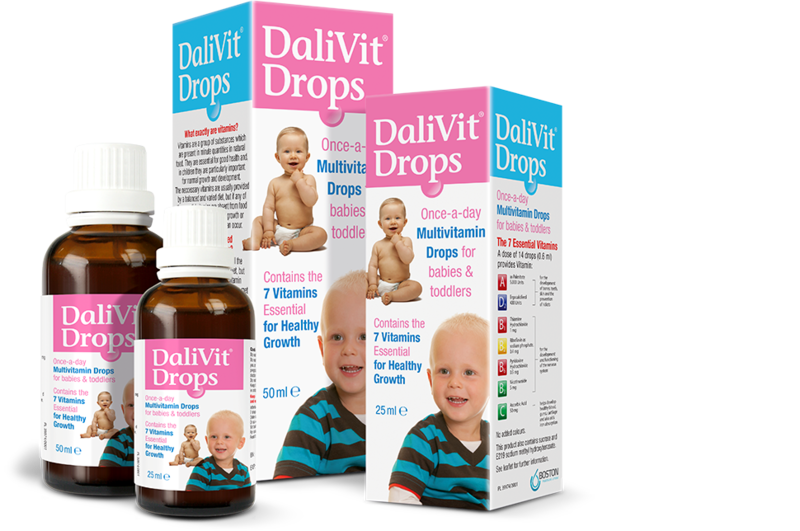 DaliVit Multivitamin Drops can be taken by children from 6 weeks. Can my doctor prescribe Multivitamin drops? Not all multivitamins are available on prescription, however, DaliVit can be prescribed if your doctor feels it is necessary. What is the dose for DaliVit Multivitamin drops? For babies from 6 weeks to one year, the dose is 7 drops daily. For older children it is 14 drops daily. Does DaliVit satisfy all the dietary requirements? There is no substitute for a healthy balanced diet, DaliVit can assist in contributing to such a diet. Where can I get DaliVit? DaliVit Multivitamin Drops will be available at your local pharmacy. If you cannot find Dalivit in the main shop, ask the pharmacist. You can also follow the link at the bottom of this page Rowlands, The Health Counter or for prescriptions, Lloyds Pharmacy. What are the necessary vitamins required? DaliVit Multivitamins contains what is known as the 7 essential vitamins which includes: Vitamin A, D2, B1, B2, B3, B6 and C. Note not all multivitamins contain all of these, make sure you read the pack before selecting a product. 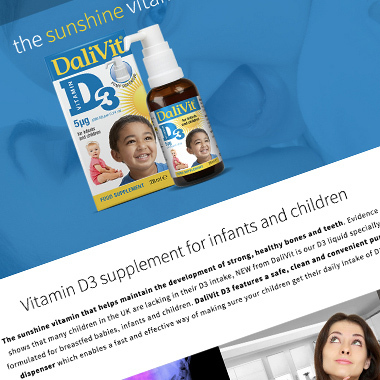 Vitamin D3 Drops for infants and children. The sunshine vitamin that helps maintain the development of strong, healthy bones and teeth. 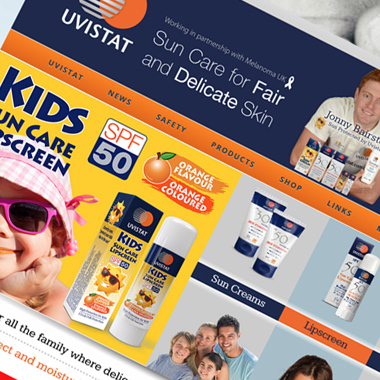 Uvistat Sun Care Range includes SPF 30 and SPF 50 SunCreams, SPF 50 Lipscreens for children and adults, Evening Protect After Sun with SPF20. 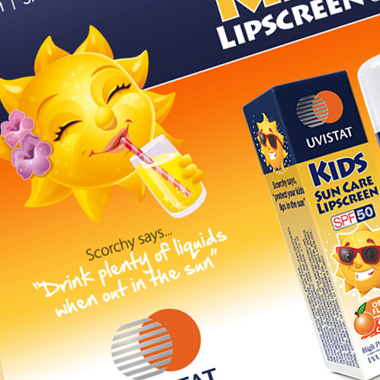 Uvistat Kids Range includes SPF 50 Sun Cream and SPF 50 Lipscreen. Also features sun care advice and tips for children to keep safe in the sun. 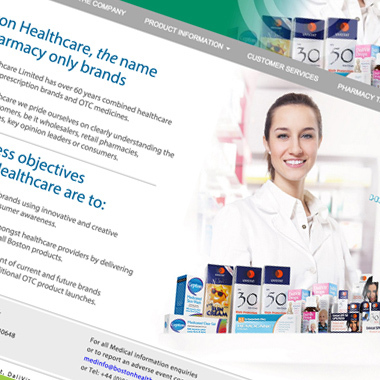 Boston Healthcare, the name in pharmacy only brands, with over 60 years combined healthcare experience in prescription brands and OTC medicines.